At Air Choice Heating and Cooling we take pride in being the premier choice for your Chicago heating and air conditioning services. With over 10 plus years of hands on expertise in the HVAC industry we are ready, willing and eager to tackle any task you have for heating, cooling and even indoor air quality services. We are a family owned business with a focus on offering the best products, workmanship and customer service. In fact we believe in making sure each client is 100% satisfied upon completion of each job. We offer free estimates so you can get an idea of what we have to offer without feeling obligated. 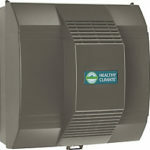 Contact our Chicago heating contractor here at Air Choice Heating and Cooling today so we can get started. We offer the finest in heating for your home from installation to repairs and everything in between. With our free estimate our Chicago heating contractor can inspect your current system and detect any existing or potential threats. From there we can discuss your options with you and help you make important decisions about your home heat system. Let us make sure your heat is in top notch working order so we can avoid the need for emergency repairs in the middle of the night. 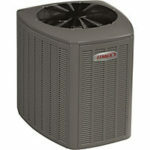 Air Choice Heating and Cooling is also pleased to be the number one choice in the area for air conditioning service. This includes residential jobs as well as light commercial cooling repair. When it comes to keeping your family cool in the summer let our team of pros help you make that possible. Our main goal is to make sure you and your family are comfortable in your home all year long. Because our Chicago heating contractor cares about your health and well being we want to make sure you and your family is breathing only the highest air quality. Too many homes have inferior indoor air quality and don’t even realize it; this is especially alarming for anyone who suffers from asthma or allergies. Let us inspect your home and offer our evaluation. From there we can suggest one or more of the excellent products and services we provide to help improve the air quality inside your home. Using only the best equipment and the most skilled professionals, we strive to achieve greatness for our customers. Whether you’re a homeowner or a manager for a commercial operation, we want to make sure you are completely content with your comfort system services. We’re excited to build relationships with our customers and deliver amazing heating and cooling services at a fair price. If you are looking for a Chicago heating contractor in the Western Chicago Suburbs then please call 630-501-8027 or complete our online request form.